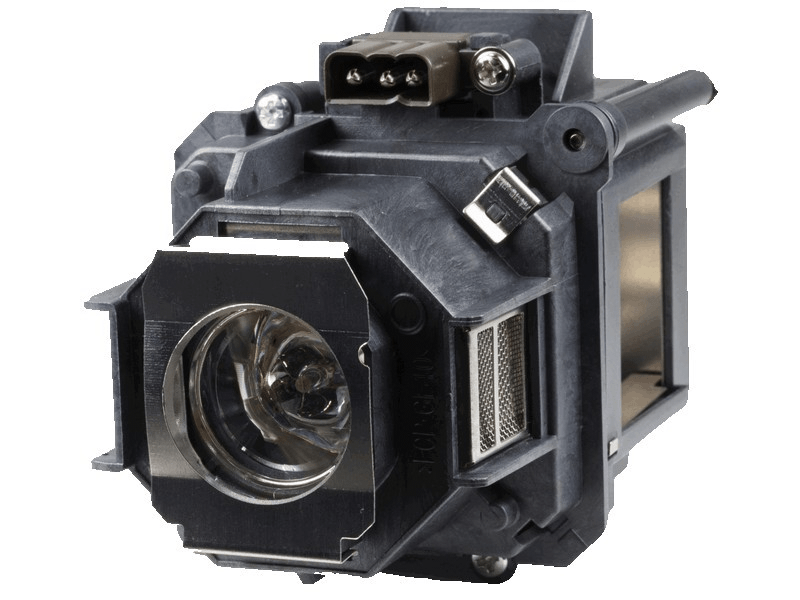 The Epson Powerlite Pro G5350 projector lamp replacement comes with a genuine original 275 watt Ushio bulb inside with a rated brightness of 5,000 lumens (Same as the original Epson lamp replacement). The Powerlite Pro G5350 projector lamp has a rated life of 2,000 hours (3,000 hours in Eco Mode) and is guaranteed to perform the same as the original manufacturers lamp replacement. Beware of generic replacements that have lower light output and reduced lamp life. Powerlite Pro G5350 Epson Projector Lamp Replacement. Projector Lamp Assembly with High Quality Genuine Original Ushio Bulb Inside. This lamp has overall better construction than the other junk we tried from eBay. Very pleased with this lamp and the quick shipping we received from Pureland Supply.